Arab countries are very often represented through stories about ancient Egypt, involving mummies and archaeological digs, stories about deserts, tents, camels, and also stories about the Holy Land. Ancient Egypt has figured as a site of fantasy and mystery in U.S. popular culture through stories about pharaohs, mummies, and pyramids. In stories inspired by Egyptology, Western scientists and heroes often rescue ancient civilizations from oblivion and exhibit such findings in Western museums as symbols of Western progress and civilization. This reinforces the notion that Arab civilization is of the past and not the present and therefore, backwards and uncivilized. Examples include films such as the many The Mummy series (1932-1944, 1959-1971 and 1999-2008) and Raiders of the Lost Ark (1981). The Middle East is portrayed as being in need of Western intervention to help them become modern and civilized. In a similar vein, Arab countries are often depicted as a place of camels, genies and flying carpets, a site of adventure and fantasy. In these representations, Arab countries appear as if there are no cities, and the whole is comprised of one great desert expanse with small villages made up of tents, clouding the diversity of landscapes from cities to villages and deserts. At the other extreme are depictions of extravagant palaces in the desert. Examples include films such as The Thief of Baghdad (1924) and cartoons such as Disney’s Aladdin (1992). The desert comes to signify a lack of civilization while the opulent palace comes to signify unreasonable extravagance and greed. The Middle East has been made meaningful to Americans, according to Melani McAlister in Epic Encounters: Culture, Media, and U.S. Interests in the Middle East, 1945-2000 (2001), through Judeo-Christian representations of Jerusalem as the holy land. Deserts and an ancient Arab region are often represented in relation to Biblical stories and visually dominate epic films such as The Ten Commandments (1956) and Ben-Hur (1959) and provide the setting for an amusement park in Orlando, Florida called “The Holy Land.” In these instances, Arab peoples are often erased from the landscape. 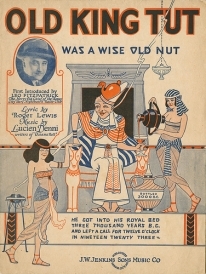 Old King Tut Was a Wise Old Nut, sheet music, 1923. Courtesy of William and Elsie Peck. 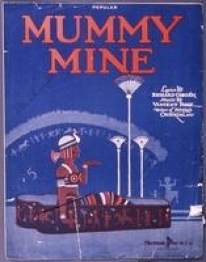 Mummy Mine, sheet music, c. 1920. Courtesy of the William and Elsie Peck, and Jonathan Friedlander collections. 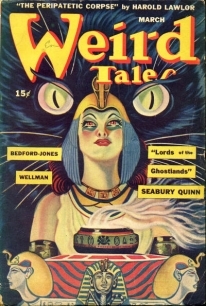 Weird Tales pulp fiction novel, March 1945, vol. 38 no. 4. Image from Wiki Commons, also in the Jonathan Friedlander Collection, Special Collections, Young Research Library, UCLA. Earth, Wind & Fire albums (left to right), All ‘N All (1977) and Greatest Hits (1998), Columbia Records. These are just two of the EW&F album covers which utilize Egyptology and desert imagery which appears to be a theme with the group. Album Cover, Powerslave, Iron Maiden. 1984. EMI. This album is another example of the Egyptology phenomenon. 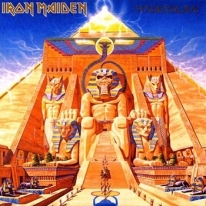 The cover art depicts a mythical Egyptian desert scene with giant statues of pharaohs and pyramid. The album art is remarkable for its similarity to the Earth Wind & Fire album, All ‘N All from 1977. VHS The Mummy’s Curse, 1944, Universal Pictures. Jonathan Friedlander Collection, Special Collections, Young Research Library, UCLA. 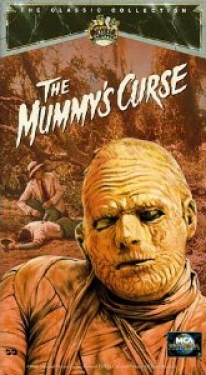 This film – the fifth in the series of Mummy films from the 1940s – is one of the many examples of the use of Egyptology in popular culture. The series deals with a mummy accidentally resurrected and wreaking havoc on modern society. Advertisement for Pyramid Apricot Ale, company formed in 1984, in Washington state. The pyramid logo and advertising – clearly an Egyptian symbol – has nothing to do with the beer itself. Original in Jonathan Friedlander’s Collection, Special Collections, Young Research Library, UCLA. Sarcophagi exhibit at the Louvre. A great number of mummies and items from tombs have been taken from Egypt and put into museums. These continue to be a big draw for visitors. Courtesy of Professor Evelyn Alsultany. 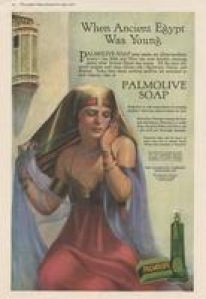 Palmolive soap advertisement in Ladies Home Journal, July, 1918. Jonathan Friedlander Collection, Special Collections, Young Research Library, UCLA. Camel Cigarette advertisement, c. 1950, RJ Reynolds Tobacco Company. 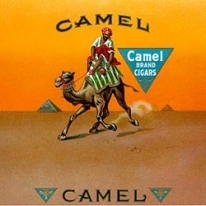 Camel cigarette advertisements play on the Middle Eastern desert scene, exotic and devoid of vegetation or civilization. Jonathan Friedlander Collection, Special Collections, Young Research Library, UCLA. 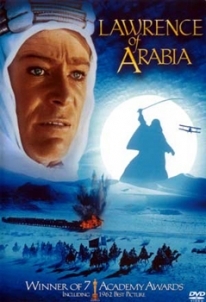 DVD Lawrence of Arabia starring Peter O’Toole, directed by David Lean, 1962, Horizon Pictures. This epic picture is loosely based on the life of Lt. Col. T.E. Lawrence of the British Army. While based in historical fact, it takes many liberties with the actual events and plays on the thought that Arab countries are almost entirely desert and the citizens require saving by Western society. 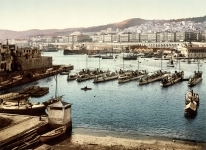 The Port Viewed from the Admiralty, Algiers, Algeria, photochrom image c. 1896. Courtesy of the Library of Congress. 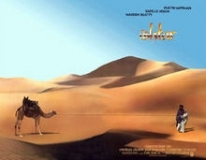 Ishtar, film poster, 1987. Columbia Pictures. The film Ishtar is a comedy that was shot in Morocco and New York. It portrays Morocco as a desert wasteland where the main characters get lost for days. The Desert Song, sheet music covers, 1925. Courtesy of William and Elsie Peck. 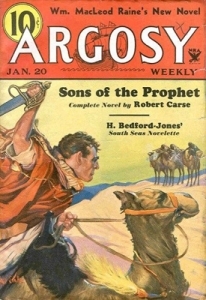 Argosy pulp fiction novel, Jan 20, 1934, vol. 244 no. 2. Image from www.philsp.com, also in the Jonathan Friedlander collection. Pulp fiction novels not only portray Arab men and women poorly, they also reduce all Arab nations into deserts and Bedouin villages. 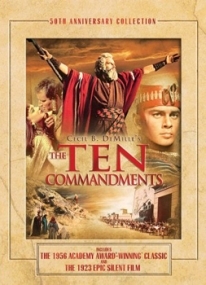 Ten Commandments starring Charlton Heston, Yul Brynner and Anne Baxter, directed by Cecil B. DeMille, 1956. Paramount. This epic biblical film depicts the Book of Exodus from the Torah and Old Testament. It is one of many films depicting the Holy Land where Judeo-Christian beliefs are paramount to other religions and their beliefs. 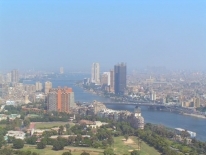 Cairo, Egypt on October 6, 2003 by Martin Steiger via Wiki Commons. The Prince of Egypt animated film, 1998, DreamWorks SKG. 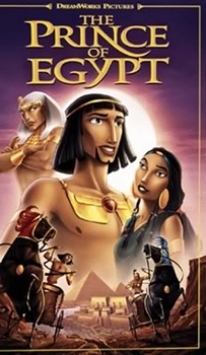 This animated musical, aimed at children, is also based on the Book of Exodus. It is one of many films depicting the entirety of the Middle East as the Holy Land. This is problematic as there are not an equal number of mainstream examples of modern Arab society. The Order, DVD cover, 2001. TriStar Films. The film is a straight-to-video (in the U.S.) action/adventure starring Jean-Claude van Damme. 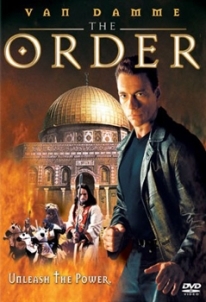 Van Damme’s character travels to Jerusalem to uncover ancient buried treasure and keep villainous members of an ancient religious order from causing disruptions between Israelis and Palestinians. Famous Fantastic Mysteries, The Ancient Allan, pulp fiction novel. Vol. 7 No. 1, December 1945. Image sourced from www.philsp.com, also in the Jonathan Friedlander collection. The Egyptology craze peaked in the 1920s and has had steady interest since then. This pulp fiction novel cover is one of many that uses images and symbols of ancient Egypt for exotic emphasis which has no basis in modern Egyptian society. 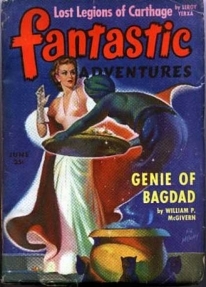 Fantastic Adventures, Genie of Bagdad, pulp fiction novel. Vol. 5 No. 6, June 1943. Image from Wiki Commons, also in the Jonathan Friedlander collection. 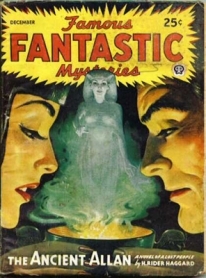 This pulp fiction novel cover uses imagery playing on myth of genies and magic lamps. By showing a culture as based in magic and lore, it implies they are not scientific or based in logic. 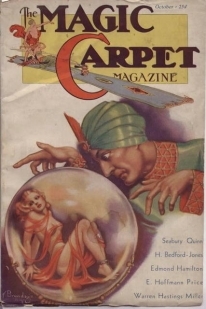 Magic Carpet Magazine, Volume 3, Number 4, October 1933. Image from Wiki Commons, also in the Jonathan Friedlander Collection, Special Collections, Young Research Library, UCLA. I Dream of Jeannie television series (1965-1970) starring Barbra Eden. National Broadcasting Company (NBC). Jeannie is not only a seductive female genie forced to do her (male) master's bidding, she is also portrayed as dimwitted and uneducated.